Congratulations, your offer has been accepted and you are now on your way to owning your very own home! Below is a general list of suggestions and items to consider, and slowly think through while you are "in escrow" on your new property. Be sure to check all local laws and regulations and rely heavily on your Realtor's professional guidance so that the escrow process will go smoothly and be as stress-free as possible. This by no means is a complete list of the many items you may need to consider for your individual purchase, but is simply a helpful resource for a better understanding of the escrow transaction. During the process of purchasing your home, you and your Realtor will be using an Escrow and Title Company to act as an independent third party to process all the legal documents, loan documents, title reports, paperwork and forms related to the transfer of title and a grant deed from the seller to the new owner. 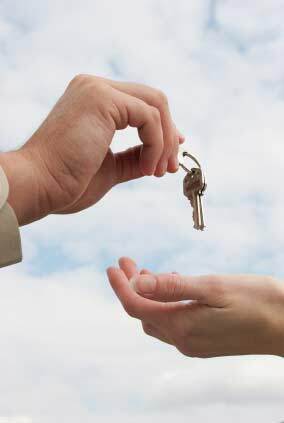 The escrow company will hold your deposit and coordinate much of the activity that goes on during the escrow period. Upon opening escrow you will be asked to send in your Earnest Money Deposit, or EMD. This is typically 2-3% of the purchase price and is noted on the first page of your offer. Once received, the deposit check will be cashed and held in the escrow account until the sale goes through, this money will be applied to the purchase price of the home. If for any reason during the buyer's due diligence period the sale is not consummated, you may be entitled to receive all of your deposit back, less standard cancellation fees. Inspection Contingency: This means the purchase of the property is Contingent on the buyer having ample time to conduct any and all inspections they woulkd like, inclldung but not limited to, a professional building inspection, pest or termite inspections, review and approval of HOA documents and financial statements, review and approval of all Seller's Disclosures, etc. This should be completed as soon as possible after escrow is opened. In most cases the Due Diligence Period is typically 2-3 weeks long and alows the buyer complete control, with a 100% legal exit from the contracts - without any risk of losing their EMD to the seller. If any information is brought up or learned that would cause the buyer to not want continue with the purchase of the property (such as a very bad inspection report), the purchase contract may be cancelled and deposits are returned to the buyer. Financing and Appraisal Contingency (if applicable): If there is a loan involved, the buyer will have a specified period of time to secure the financing, have an appraisal of the property and process the loan through the bank underwriting process for full loan approval on the sale. This contingency timeframe is typically 3 weeks long, however, if for any reason the buyer is unable to secure full approval for funding during the Appraisal Contingency Period (and the seller will not provide a written extension of time), you may choose to cancel the escrow, get a refund of your EMD and stop the sale of the property. You may also choose to remove the Loan and Contingency and move forward with the sale, hoping everything will move forward with loan approvals. Contingency Removal Date: When the time comes and your due diligence period comes to an end, a buyer is faced with a very important decision. Whether to continue with the purchase, or not. By this time, the buyer should have received all reports, inspection results, seller's disclosure forms and paperwork, HOA docs, good faith estimates for loan rates and payments, plus answers to any and all other questions or information the buyer may request. If the buyer is content with all information learned, it is then time to remove all contingencies on the purchase by signing a Contingency Removal form. Once signed and presented to the seller, from here on out, the buyer and seller are in a binding contract and if for any reason the buyer changes his mind, gets a case of buyer's remorse or wants to cancel the sale, the full deposit can legally be kept by the seller. During the last week or so of the escrow period you will need to be ready for one final round of paperwork to sign and some very important items not to overlook. The buyer should expect to receive from escrow all the final closing documents, including but not limted to the Loan Documents, Grant Deed, Settlement Statements and any other paperwork required to complete the files. You will also get final wiring instructions for sending in the total dollar amount needed to close escrow. This will include your loan down payment plus all the associated costs and fees for escrow and title. Contact local utility companies to schedule to have service set up to be transferred into your name on the date the escrow is scheduled to close. Schedule the final walk-through inspection with your agent. At this time, you should make sure that the property is exactly as the contract says it should be. What you thought to be a "permanently attached" chandelier that would come with the property might have been removed by the seller and replaced with a different fixture entirely. That usually does not happen, but you want to ensure the property is in the condition it should be when escrow closes. You've made it! Once the sale has closed, grab a glass and pop the champagne - you're the proud owner of a new home! Congratulations!